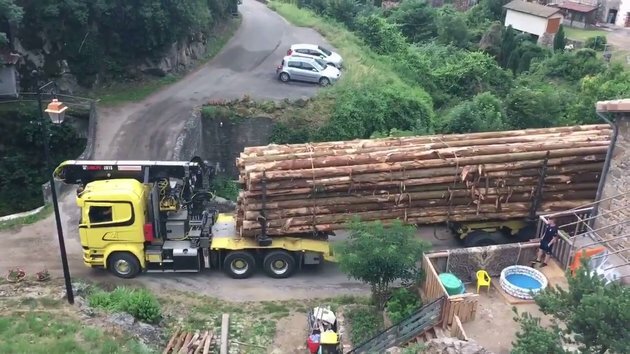 Logging truck crossing bridge like a boss in France. A bit more engineering than skill, but nice nonetheless. I wonder how the rear is controlled. I suspect air to disconnect the 5th-wheel, but how does the forward wheels in the back turn? Interesting.